When a child comes in for a neuropsychological evaluation, it can provide an opportunity to gain a larger picture of how he learns and if support is needed in and outside of the classroom. The results from the evaluation can then help parents and teachers alike to better support the child’s learning. After a day of testing, there are a lot of numbers and verbiage that may seem overwhelming and difficult to understand… what does it all mean?! 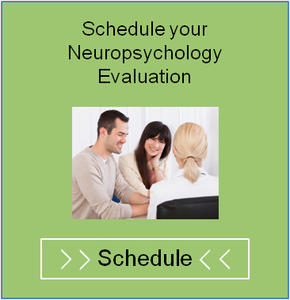 Here is a guide to understanding these sometimes complex neuropsychological test results. Most psychological tests are reported with standard scores and percentiles. This number is representative of how the child scored in comparison to a representative sample of same-age peers. This group is the “norm” group. Standard Score: Based on scale with the average score of 100. Why may you ask? Attention, fine motor skills, alertness, distractibility, anxiety, etc. can all play a role in a child’s performance. All of these observations are taken into account when interpreting the child’s results. Percentiles: These often go hand in hand with the standard scores. If a child earned a standard score of 100, then they performed at the 50th percentile. If you took stats, this may ring a bell, if not, here’s another way to think about it.. If the child has attention, language, social or emotional concerns, different types of tests are administered to supplement the evaluation and is tailored to the parents’ concerns and child’s needs.